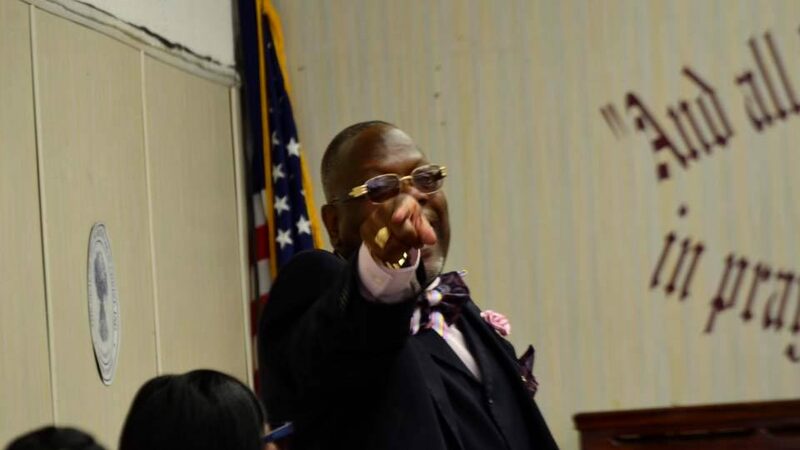 55882436 – FELLOWSHIP TABERNACLE MINISTRIES C.O.G.I.C. We’re living in a day, when the unbelievers are not walking through the church doors like they were forty years ago. A day when our young people do not know about the choices of good or evil; choices of right and wrong. 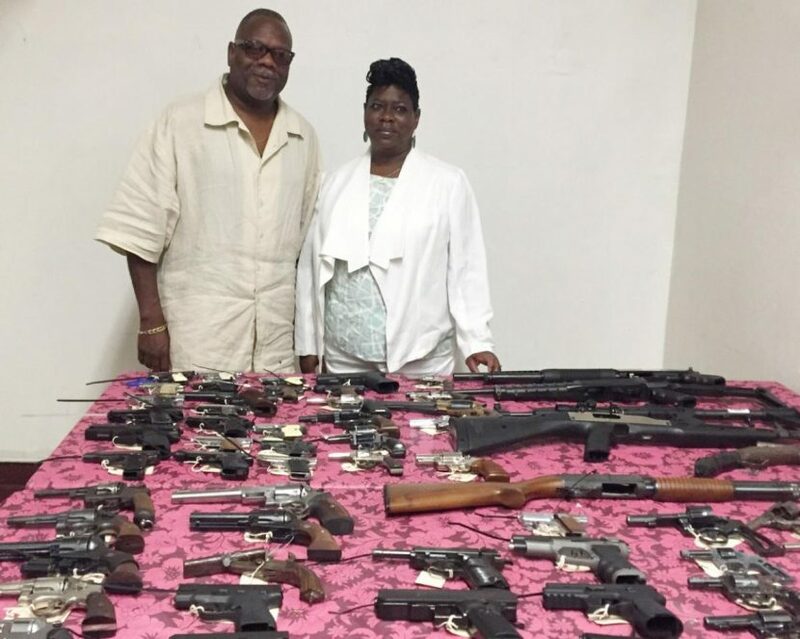 Choices of God and Satan, they have only seen one side in our urban communities. Drugs, killing, robbings, cursing, sexual immorality, unwanted by fathers, unloved by mothers, this is what they see on a daily basis. This is why the Church must realize our work is outside the gates. Just as Peter and John were responsive to the lame man laid at the gates of the temple, we must be responsive to the lame men, and women that we pass everyday on our way to the temple. Lame in spirit, lame in mind, lame in soul, lame in health, etc. We as believers have become so caught up in our next conference; we’ve become unconcerned about the lame. Yet the real work is outside the gates. I truly thank God for what he has placed in my spirit and in our ministry at Fellowship Tabernacle Church of God in Christ. You may ask what is it? One word Evangelism. The definition of Evangelism is taking the gospel to the unbelievers. Our ministry started from a choir going into the prisons, drug rehabs, and streets, letting dying lame men and women know they can have life and that more abundantly with Jesus Christ. Now don’t get me wrong conferences has its place in the church, but if it’s not preparing us to be fruitful in witnessing (which we are commanded by Christ to do) (“Go into the highways and hedges compelling them to come”) to the unbeliever. Well then conferences just are not helping. Every conference should encourage us to the realization that the work is outside the gates. Here at Fellowship we are preparing for out annual crusade “Taking it to the Streets” where we’ll be having a three night crusade on Gunhill Road August 24-26. We believe God for lame souls to be saved, lame backsliders reclaimed, lame drug users delivered. Then we can be like Peter and John, letting the lame know, that we may not have what you want, but we have what you need, J-E-S-U-S. Rise up and walk, then just as Peter, John and the lame man praised God together in the temple. We too can praise God with the lame men and women inside the temple. So let us, as the church also rise up, and realize that the work is outside the gates. 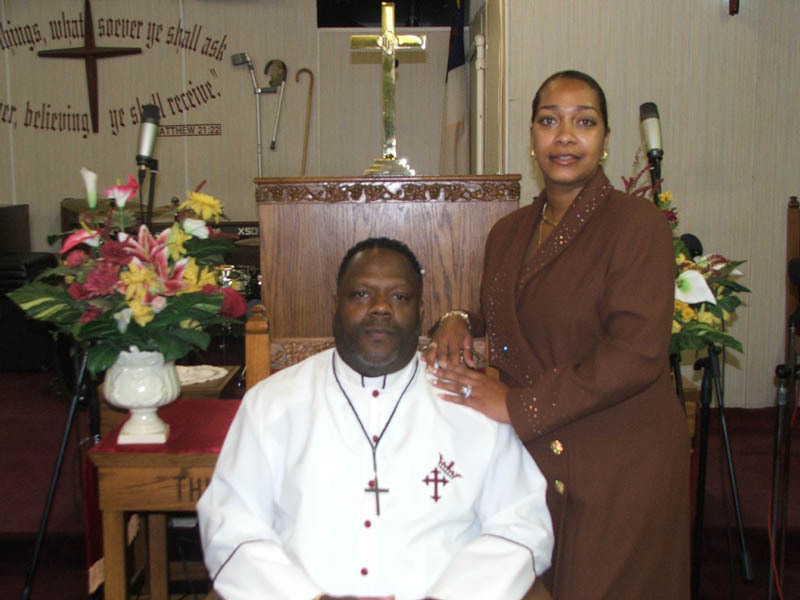 SUPERINTENDENT JAY ALLEN GOODING SR. is the fourth and youngest child of Bishop Ceacer and Co-Pastor, Josephine Gooding. He was born in New York City on October 9, 1961. Pastor Gooding was raised in the Bronx, New York, and attended Public Schools there. 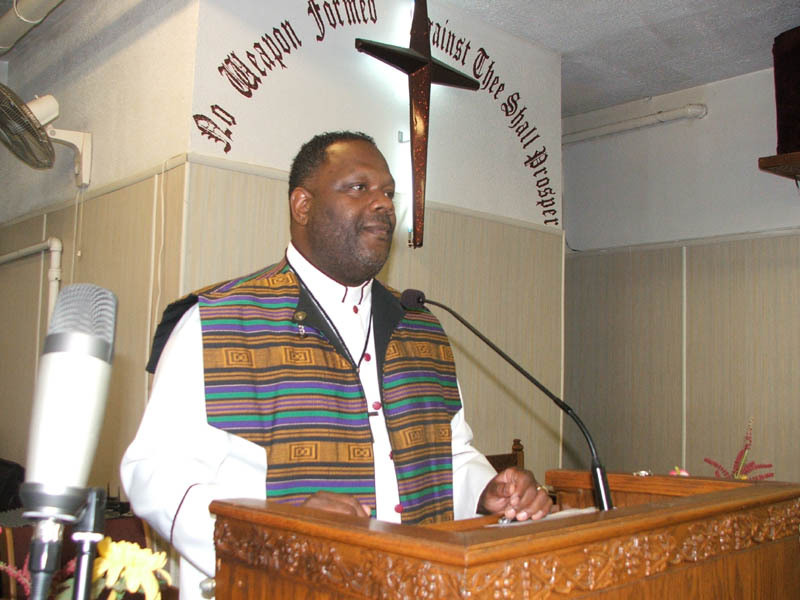 He is a graduate of DeWitt Clinton H.S., and holds a Bachelor of Theology degree from Lighthouse Christian College. He is married to Nicole Stacey Ann Gooding and is the father of four children, Latiesha, Jay Jr., Vaughn, and Jayme; and grandfather of five, Jahvon, Jay III, Jordane, Jayson and Princeton. At the tender age of 5, Superintendent Gooding began playing the organ, under the tutelage of Dr. Becky Carlton. He became the organist of Miracle Revival Temple in the Bronx, NY under the pastorate of his father at the age of 11 years old. From 1984-1987 he was a member of the Award Winning Gospel Recording Artist, “The Ecstatistics”. His music ministry inspired him to start a community choir, “Jay Gooding and Fellowship” in 1991. They have recorded five albums including “No Stopping Us Now – The Remix Project” (#1 single – 3 consecutive weeks on the Top Ten Countdown on WTHE). Their latest release in 2002 was “Nobody Can Do Me Like Jesus” (which had two songs in the Top Ten Countdown for over six weeks) and was submitted for Grammy Nomination. In January 2003 Superintendent Gooding and the Fellowship Family joined the Church of God in Christ, First Ecclesiastical Jurisdiction of Eastern New York, under the leadership of Prelate, Bishop James Gaylord; where Bishop Charles Edward Blake serves as the International Presiding Bishop. In July of 2004 Superintendent Gooding was appointed by Bishop James Gaylord to succeed the late Bishop William J. Robinson as Superintendent of the Glorified Bronx District, which he renamed to the “Bishop William J. Robinson Memorial District. From 1999-2003, Superintendent Gooding served on the Executive Board of the Bronx Borough President’s Clergy Task Force Coalition. 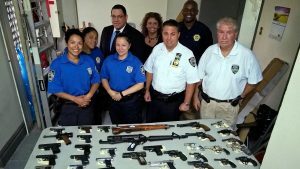 ; from 2002-2008, Superintendent Gooding was elected to the Executive Board of the 44th Precinct Clergy Coalition, where he served as treasurer, then elected to Vice-president; From May 2002 to 2004, he served on Community Board Eleven, Bronx NY. Since 2003 Superintendent Gooding has served as vice-chairman of the “Urban and Civic Affairs” Dept. of the Church of God in Christ First Jurisdiction of Eastern N.Y.; from 2003-2008 he served as the Executive Director of C.H.I.P.S. (Chaplains Helping In Police Situations). In 2007 Superintendent Gooding was appointed by the Hon. Assembly-man Carl Heastie to sit on the Board of Directors of the Bronx Business Alliance. In 2008 he was appointed by the Mayor of Peekskill, the Hon. Mary F. Foster, to sit on the board of Directors of the Peekskill Youth Bureau, Peekskill NY. 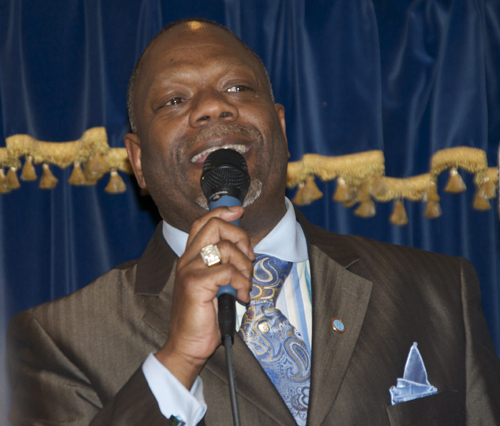 Superintendent Gooding currently serves as president of the 49th Precinct Clergy Council. Of the numerous awards and citations Superintendent Gooding has received, he is included in the 2009 edition of “Who’s Who in Black New York City”. He is also the recipient of The 49th Police Precinct Community Council’s 2009 “Tom Twyman Citizen of the Year Award”, and the “NYPD 2013 Partnership in Community Award” presented by Asst. Chief Carlos M. Gomez of Patrol Borough Bronx, during the “2013 Bronx Clergy Fellowship Awards Ceremony”. He is committed to God first, and has a genuine and sincere concern for people and the communities.